This primary hybrid produces vibrant lavender-pink flower clusters, with lips that have a pattern of darker stripes. 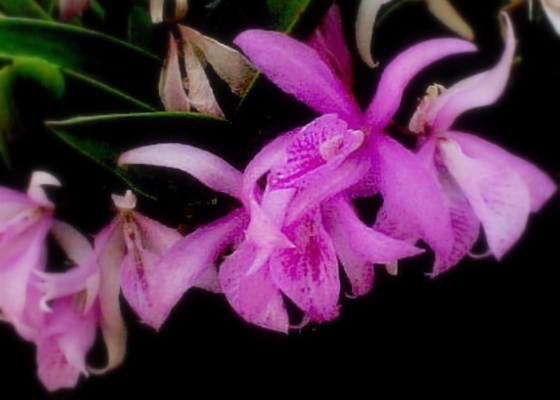 A prolific grower, this plant has received no less than three certificates of culture merit from the American Orchid Society. 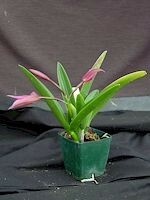 From the cross between Brassavola nodosa and Cattleya bowringiana. .Temperature Tolerant. January - February blooming.